Hi everyone and thank you for allowing me a moment to introduce myself! 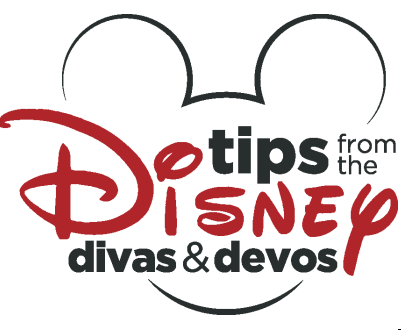 My name is Patricia and I have been a writer with Tips from the Disney Divas & Devos for several years. I have a love for Disney that goes way beyond the parks! My earliest memories of Disney begin with Sunday night showings of The Wonderful World of Disney. Our entire family would gather in front of the TV with our popcorn and sleeping bags, waiting for the show’s introduction-a beautiful image of Cinderella’s castle and a mix of Disney instrumental songs. It seemed the world would stop with that music. Nothing else existed beyond our family and that time together. Jump forward about 20 years and I found myself taking my first trip to Disney World. I was so excited to see the iconic Castle of my childhood. (Yes, I did cry upon finally seeing it in person!) But I really thought we were headed to another average amusement park. We had no idea that Walt Disney World consisted of four theme parks, two water parks, close to 30 resorts, a shopping district and an overwhelming amount of dining options! UPON ARRIVAL WE WERE ABSOLUTELY LOST!! In the years since this first experience I have spent countless hours studying everything I can about Disney Travel-Disney World, Disneyland, Disney Cruise Line, Aulani and Adventures by Disney. I began planning vacations for several friends and family members, who began to send referrals my way. I knew then that it was time to become official! I am now a Travel Planner, graduate of the Disney College of Knowledge and owner of All for Dreams Travel (an independent agency with Gateway to Magic Travel, an Authorized Disney Travel Agency). 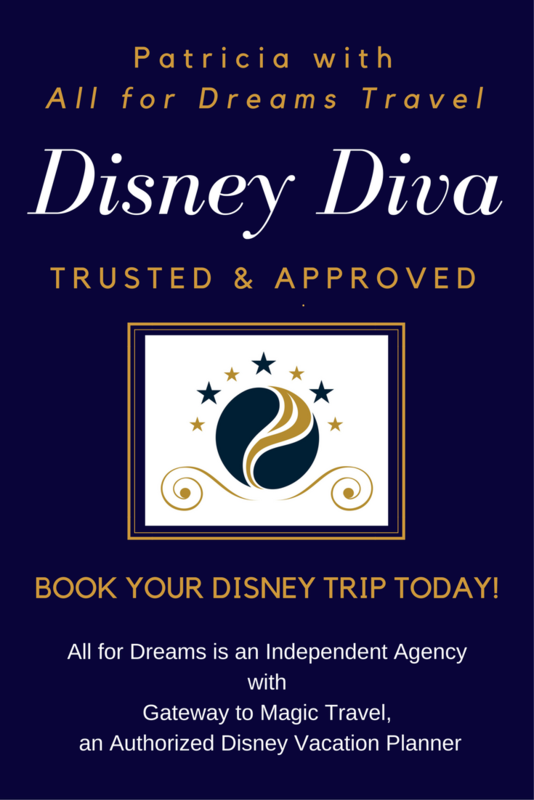 I am also excited to announce that All for Dreams Travel is now the Official Travel Agency of Tips from the Disney Divas & Devos! So why should you use All for Dreams Travel for your next Disney Vacation? As a travel planner I have access to new Disney information daily. I also have years of experience to help maximize both time and budget needs. After booking your trip I can provide tips, organize your travel, book dining/Fast Pass reservations and provide daily itineraries. I also keep an eye out for time sensitive dates pertaining to your vacation dates. And I watch for any discounts that may be applied to your trip, even after it has been booked. I can do as much or as little of the work as you like. Part of my services are to determine how much control you would like to have over your own trip. My goal is to identify the type of vacation YOU would like to enjoy and use my knowledge to make that DREAM COME TRUE! What do the services of All for Dreams Travel cost? That’s the best part, you don’t pay me a penny extra! Your vacation package, whether booked through Disney directly or through an agent, already includes an agent fee. THERE IS NO DIFFERENCE IN PRICE WHEN YOU BOOK WITH ALL FOR DREAMS TRAVEL! Once you travel my fees are paid by the Disney Travel Company (or any other supplier you would like to visit). How do I obtain a Quote from All for Dreams Travel? Feel free to contact me via email at all4dreams@gatewaytomagictravel.com. Please include any information you feel would be relevant-destination, preferred dates of travel, estimated budget, number/ages of guests traveling and your preferred method of contact. You can also contact me by clicking on the “Request Quote” button on this site. I’d like to send a quick thank you to all of our Tips from the Disney Diva & Devos Followers. We truly enjoying taking this magical journey with all of you and look forward to your comments on our site. 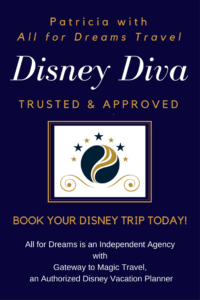 And now by joining the services of AIl for Dreams Travel with the Tips from the Disney Divas & Devos site, I hope to help you make your family’s vacation dreams a reality. Contact All for Dreams Travel today for help planning your next “Dreams Come True” Disney Vacation! Celebrate Black Friday with a Disney Gift Card from All for Dreams Travel! Join the Divas/Devos for a Halloween Photo Contest and a Chance to Win a Disney Gift Card! Merry Christmas from the Tips from the Disney Divas and Devos Team!